The Betway brand covers the full range of betting products, from traditional casino gaming through online poker and bingo to – and why else would you be reading this? – sportsbook. Originally launching as an online casino in 2006, Betway rapidly built a loyal following with customers and has clearly parlayed that success into the extensions to its site that welcome fans of the wider world of online wagering. The site is operated under both a Maltese and UK gaming licence, so you can be assured you’re dealing with a company that plays fair and complies rigidly with all its legal duties towards its customers in the UK and other territories where it accepts new player accounts. Betway has over 31 sports sections covering most sporting events that are happening around the globe 24/7. Betway also offers virtual sports, Gaelic sports, UFC & MMA and e-sports. Betway provides a stats service provided by TimeForm. Plus Betway offers an extensive Insight and Tips service on their blog BetwayInsider. See Betway site for details on Betway Cash Out. 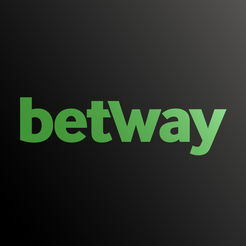 See Betway site for details on Betway In-play Betting. See Betway site for details on Betway Live Streaming. See Betway site for details on Betway Free Bet Club. 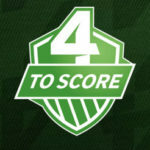 See Betway site for details on Betway Four To Score. Boasting of offering over 30,000 sports betting markets, Betway’s Sportsbook has an awful lot to cram into its desktop and mobile sites. And it does so very successfully in our opinion. There’s a cool attractive look to the sportsbook’s layout, making it feel less cluttered than many of its traditional bookmaker rivals. Those 30,000 markets are conveniently condensed into a thoughtful navigation that covers thirty five categories, together with a set of updating Quick Links to launch you into some of the prime candidates for your immediate attention. A separate In-Play tab in the main menu bar give you rapid access to the current live action, and again we must praise Betway Sports for the excellent presentation that makes it dead easy to monitor what’s happening and signalling changes in odds. A tv-style icon indicates where a live stream is available, and the whole experience is very slick indeed. With a player account set up, compiling your virtual bet slip and placing bets is supremely easy. We particularly like the fact you can toggle bets on and off from the main page without having to enter the Bet Slip to cancel them there – it’s a small thing, but it makes rival sites that don’t do this seem a bit clunky in comparison and once you’ve experienced it you don’t want to do it any other way. Again, it’s the details like that that make Betway Sports a joy to use. Betway offers an iOS app and an Android app but it’s just as easy to play on your Smartphone’s browser. You can watch your favourite sports live on iPhone, iPad & Android. Betway offers excellent 24/7 support, 7 days a week. Betway uses Live Chat, Email, Phone and Post. Betway Sports covers plenty of ground its rivals do, but it makes its mark in two particularly notable ways in our opinion. First it clearly sees e-sports as a future phenomenon giving it a separate tab to its traditional sportsbook (although you’ll find easy cross-navigation between these areas), and if you’ve any interest in this burgeoning market, Betway is an especially strong contender for your attention. Secondly, whichever sports you love, Betway’s elegant site and functionality make it one of the most enjoyable places to build your bets. A literally smart choice.